Reports are a very important feature in every company environment for operation and management purposes. Dynamics AX 2012 presents several reports options to support daily activates and cooperate in management decisions. 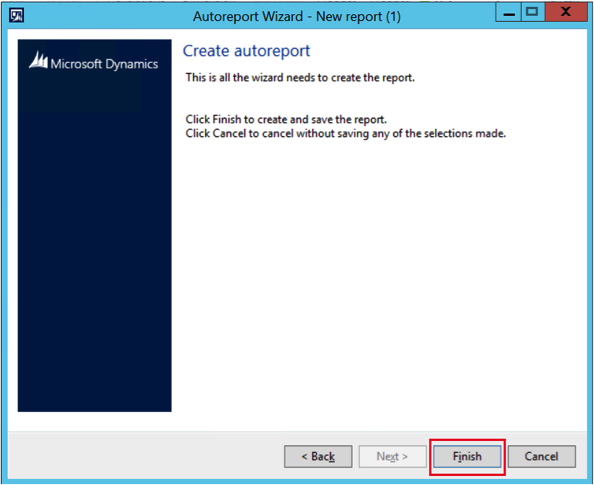 The Auto-report is a great feature in Dynamics AX 2012 because it allows you to create new reports and customize standard reports to increase the business performance and management. Before an auto-report be designed in the system, first you need to find the form that you want to use to generate a new report. In this lab, we would like to create a new report to display the items released in the system. 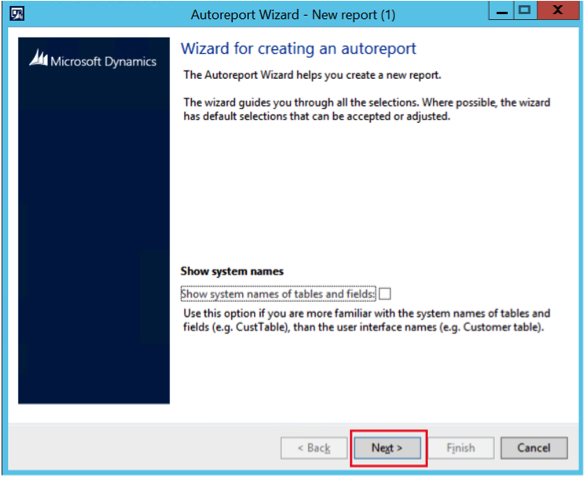 1) To create a report using Auto-report wizard, you need to select the form that will serve as a basis for the new report. In this lab, we would like to create a new report based on the Released products. In order to access the Released products form, follow the system path: Product information management > Common > Released products. 2) In the Released products form, click on File button. 3) In the File button, select the option Print > Print in the menu list. 4) In the Auto-report form, click on Modify button and in the menu list select the New option. 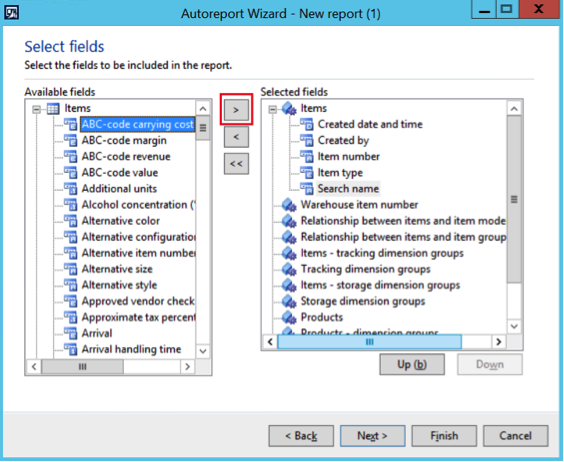 5) In the Autoreport Wizard form, click on Next button to start the report creation and design. 6) In the field Name you can specify the name of the report. 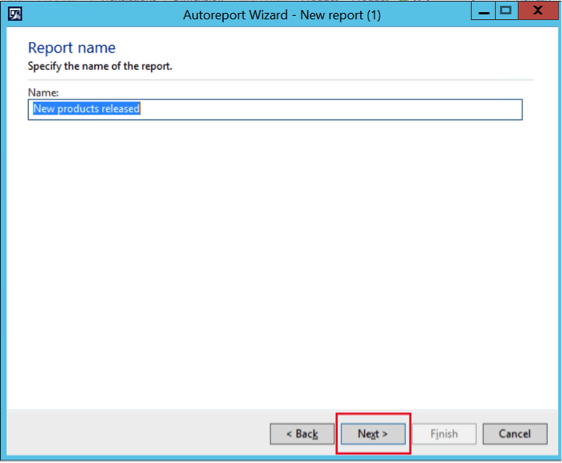 7) In the Autoreport Wizard form, click on Next button to continue with the report creation and design. 8) Select the fields that you want to be displayed in the new report. In this lab, we would like to display the Item number, Search number, Item type and Creation details. 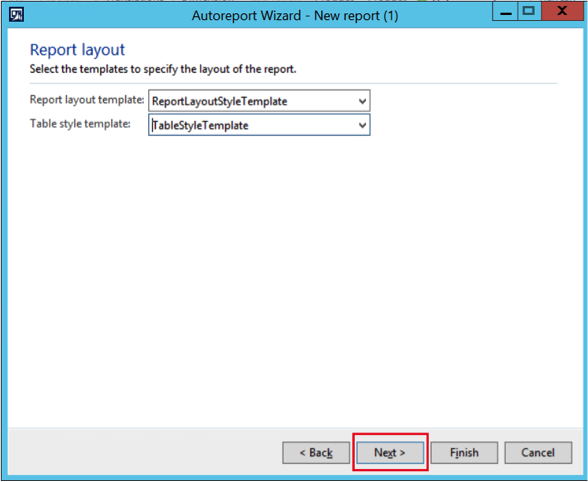 9) In the Autoreport Wizard form, click on Next button to continue with the report creation and design. 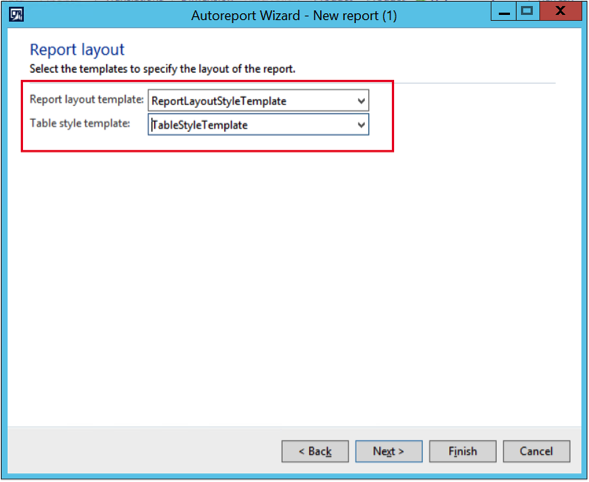 10) Select the report template to specify the layout of the report and a template to specify the layout of tables. 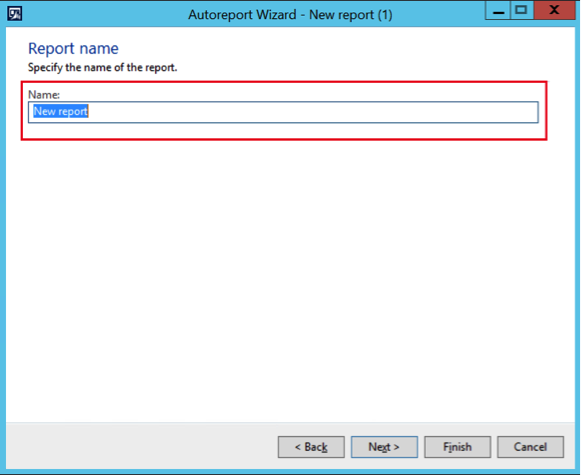 11) In the Autoreport Wizard form, click on Next button to continue with the report creation and design. 12) After you have create the new report, click on Finish button to exit form. 13) In the Auto-report form, the new report is displayed in the field called Select report. 14) In order to open the new report called New products released, click on OK button. 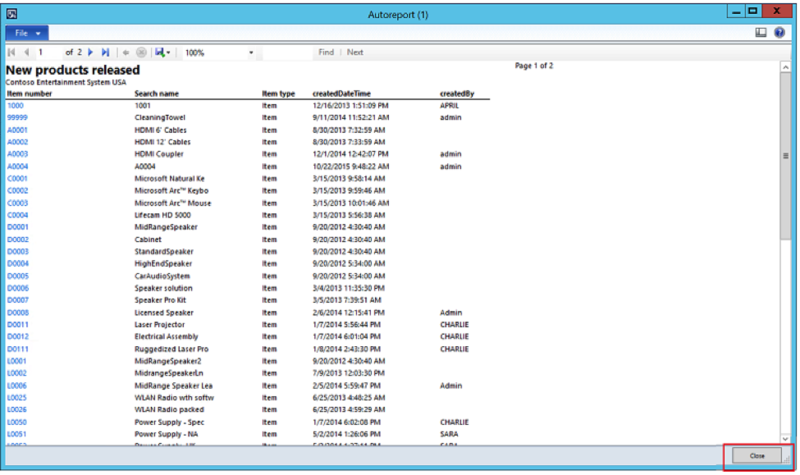 15) A new report will be displayed with the data as selected in the Auto-report wizard. 16) After you have checked your new report, click on Close button to exit form. 17) In order to reuse the new report, follow the system path: File > Print and Print. 18) In the Auto-report form, select the report name in the Select report dropdown list and click OK button to reuse the report. See you next time. Have fun DAXing!